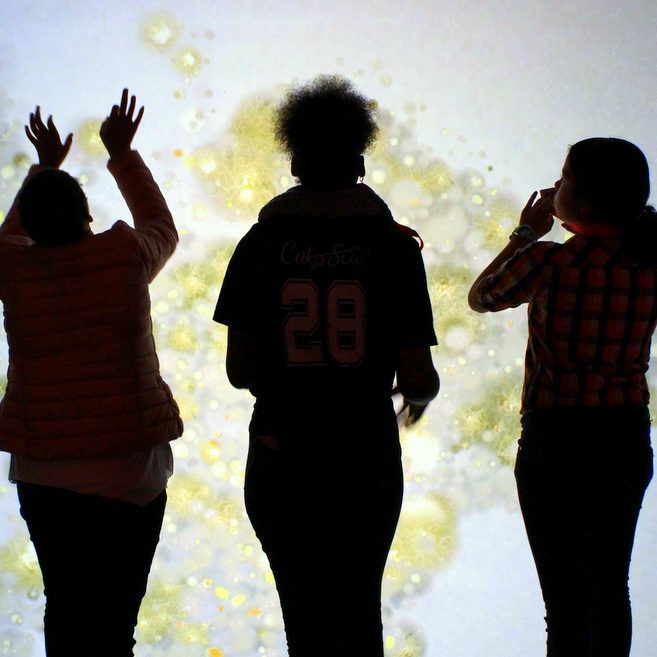 Visitors imprint themselves onto a screen, which takes the form of a virtual Petri dish, and slowly reveals the shape of their bodies made of colonies of (digital) bacteria, which grow before their eyes. “Super-organism” is a new commission for the Cinekid Festival in Amsterdam, taking place in October 2014. It takes the form of a wet and dry bio-digital research laboratory created by artists Anna Dumitriu and Alex May, which enables young people and families to investigate their own bacterial ecosystems through a hands on bioart activity and an engaging digital installation which reveals the bacterial flora on their bodies. 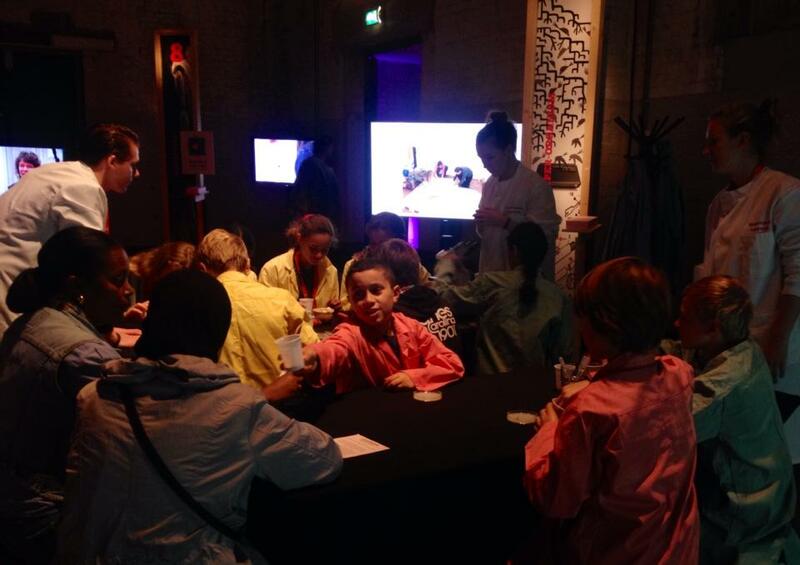 Participants grow bacteria in Petri dishes under the careful guidance of the artists, and then experience a biodigital installation where the bacterial flora growing on their bodies is revealed through a magical interactive digital installation. These bacteria are an important part of what it means to be human. We are, in fact, super-organisms containing ten times more bacterial cells than human cells! 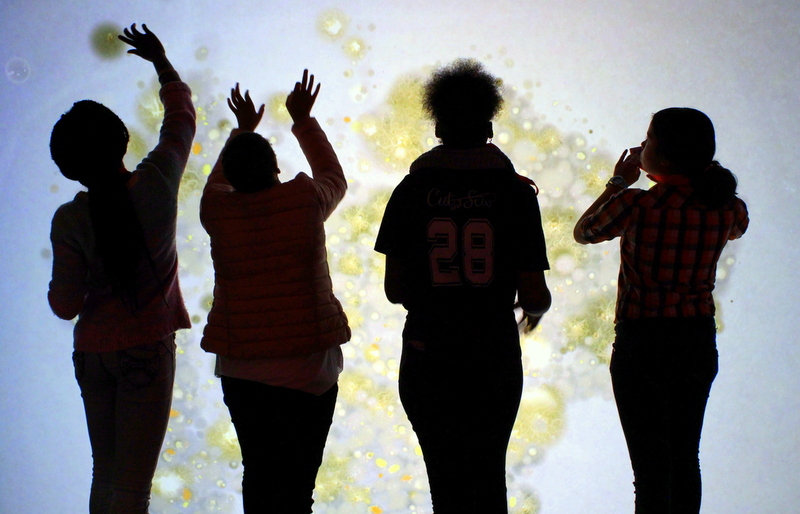 Visitors imprint themselves onto a screen, which takes the form of a virtual Petri dish, and slowly reveals the shape of their bodies made of colonies of (digital) bacteria, which grow before their eyes, modelling the behaviour of the bacteria they worked with in the wet lab. The interactive installation is made using custom software written in C++ and uses an infra-red camera to track participants in the space. The images are made up of collages of hundreds of stop motion films of bacterial colonies that are generated in real time for each participant to create the effect that the bacteria from their bodies has been cultured in a Petri dish. 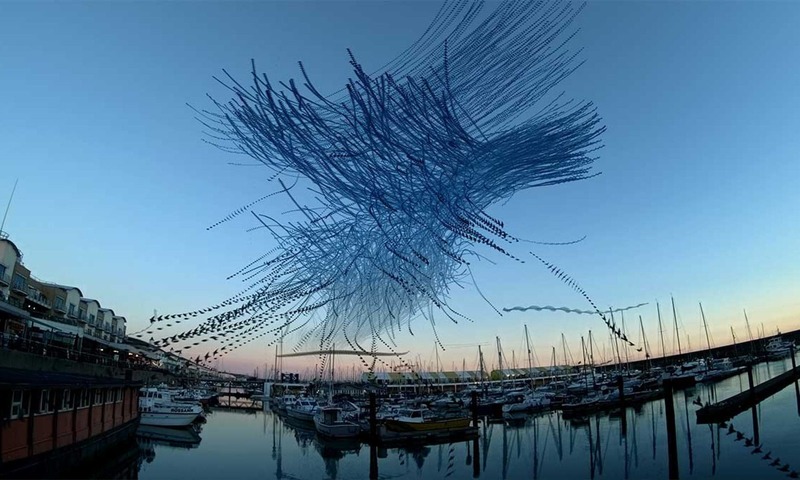 Anna Dumitriu will also be speaking at the Cinekid New Media Conference: New Creative Technologies with biomedical scientist Kevin Cole with whom she frequently collaborates on bioart projects and practical workshops. The project is also made in collaboration with Dr John Paul, from the Modernising Medical Microbiology Project.